What should women’s skirts and sales voicemails have in common? Answer: They should be long enough to cover the subject but short enough to keep it interesting and arouse curiosity. When calling on sales prospect to set a meeting or appointment, should you leave a voicemail? My opinion is yes. You have a 0% chance of getting a returned call if you don’t leave a message. Yeah, there’s a rare chance that someone will look at their caller id, see an unknown number, and call it back. But executives are very frazzled and busy and if they get called by numerous sales reps a day, do you really think they want to walk right into a sales trap? If you leave a voicemail, at least your chances of a returned call go up to 1%. Keep your message short, sweet, and to the point and say something that arouses curiosity that they want to call you back and want to hear more! http://www.connect5000.com/wp-content/uploads/2016/07/blog-pic-89.jpg 1055 1797 Ray Ruecker http://www.connect5000.com/wp-content/uploads/2016/07/connect5000.png Ray Ruecker2012-09-19 13:48:342016-07-10 23:13:03What should women's skirts and sales voicemails have in common? 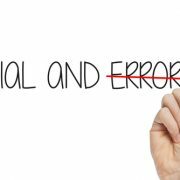 Does Sales Prospecting Success Come Through Trial and Error? My 2 cents: Looking back, when I started my company, I had no freaking clue of what I was doing. I had a vague idea but like the mirror after a long shower, it slowly but surely has become more clear each and every day. Every email, sales pitch, etc that I put together has been refined and tweaked countless times. You don’t know until you try. Expecting to get it right the first time is pointless and unrealistic. I’m consulting with 2 guys right now who started their own tax, accounting, and financial consulting firm. I’m proud of them they started. My advice to them was to network, pick up the phone and start reaching out to prospects and don’t worry about failing. They’ll perfect their pitch in due time. You can only read so many sales books and articles. I can have you read a ton of books and watch a lot of videos on how to ride a bike and you’ll have a lot of knowledge. You can hop on the bike, take action, and learn how to ride successfully on your own despite falling down numerous times. But you’ll gain invaluable experience and wisdom. I’m Ray Ruecker with Connect 5000 and hope you have a great Friday! http://www.connect5000.com/wp-content/uploads/2016/07/blog-pic-90.jpg 334 500 Ray Ruecker http://www.connect5000.com/wp-content/uploads/2016/07/connect5000.png Ray Ruecker2012-09-14 14:29:402016-07-10 23:13:25Does Sales Prospecting Success Come Through Trial and Error? 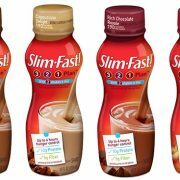 In case you didn’t know, Slim-Fast is a dietary drink that acts as a substitute for meals for people attempting to lose weight. But have you paid attention to the name itself? Slim-Fast. Slim down fast. We live in a society of instant gratification. We want results fast and quickly and don’t want to wait. Happy Post Labor Day to you all. Summer is about gone. Fall is almost here. The NFL kicks off tonight! College football started last week. I came across an article that may benefit you. 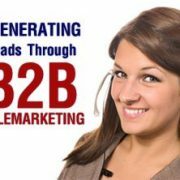 Since I don’t have all the answers, this might be a good resource for you companies that are considering farming out the process of setting sales appointments for your sales reps.